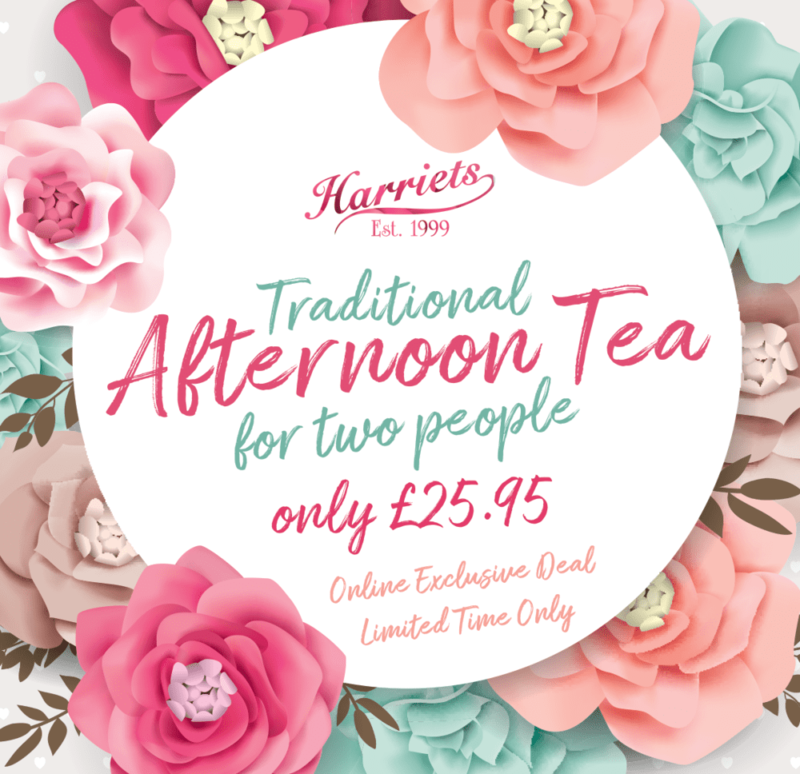 Exclusive Online special price of £25.95 for a limited time! Download doesn’t reference price. A perfect gift! 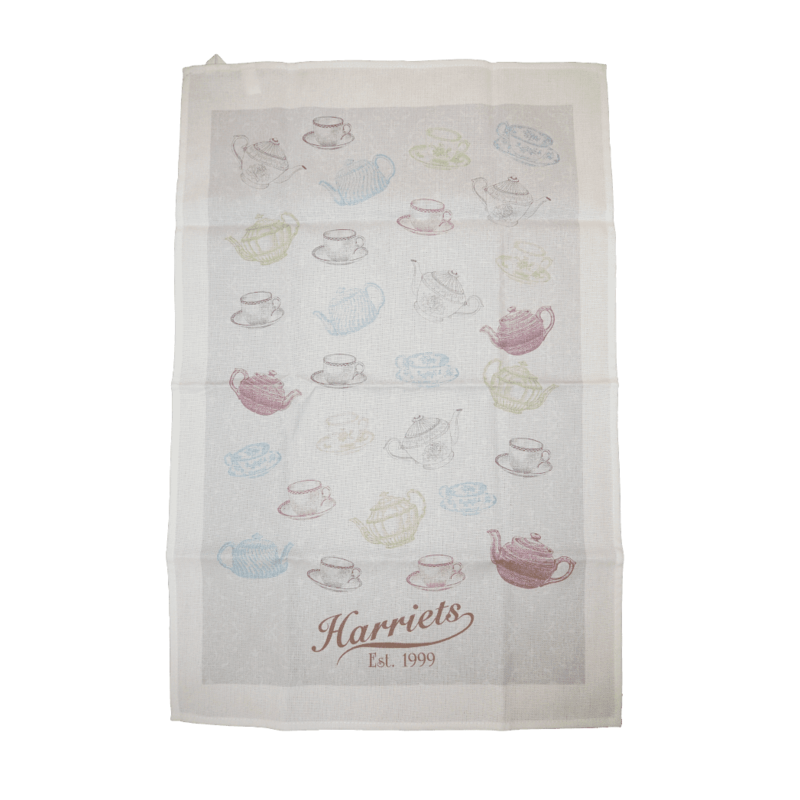 A Pot of Harriets Special Blend Loose Leaf Tea to share. Finger Sandwiches of Cucumber, Egg & Cress, Roast Chicken, Four freshly Baked Scones with Cornish Clotted Cream and Harriets Strawberry Jam Belgian Chocolate Brownie Slices, Handmade Sponges and Two beautifully flavoured Macaroons. All served on our own Silver Plated Stands. Special price of £25.95 for a limited time! This deal is an instant download of our digital PDF. 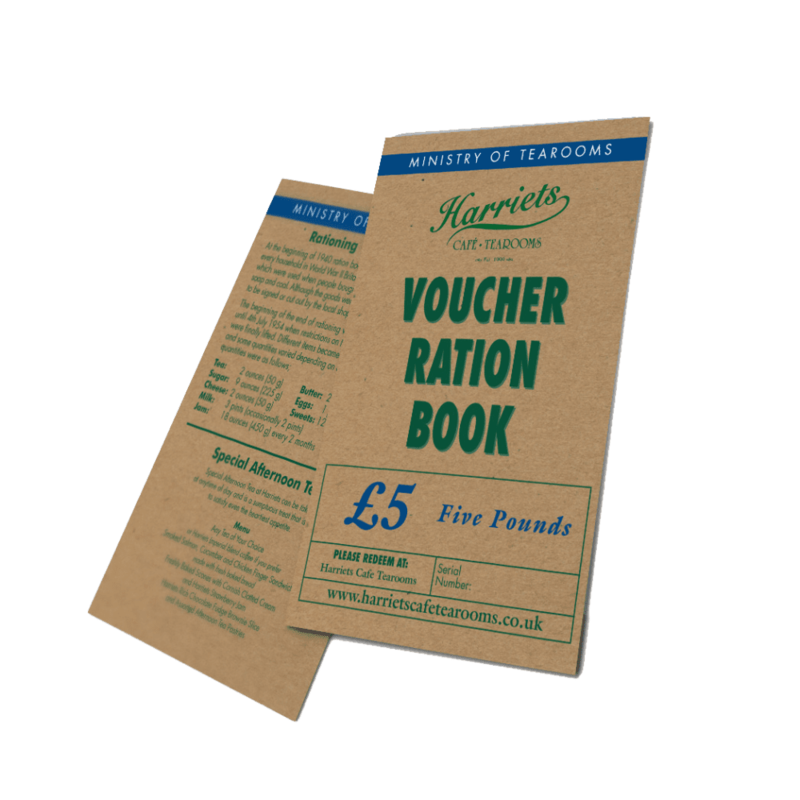 It is not available in the form of our traditional ration book vouchers. Online exclusive. 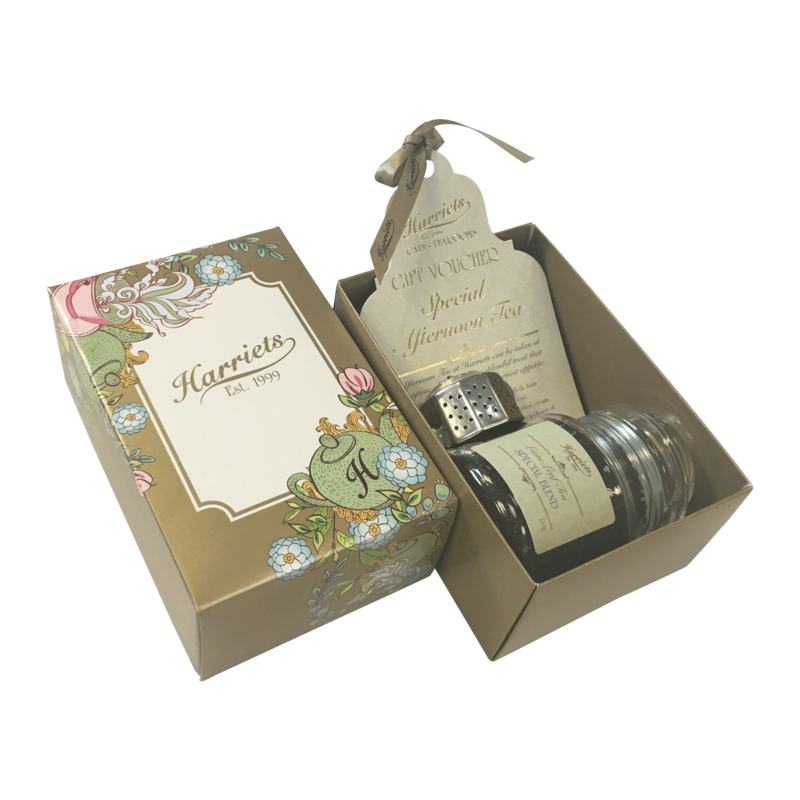 The voucher doesn’t reference the discount or occasion, a perfect gift! 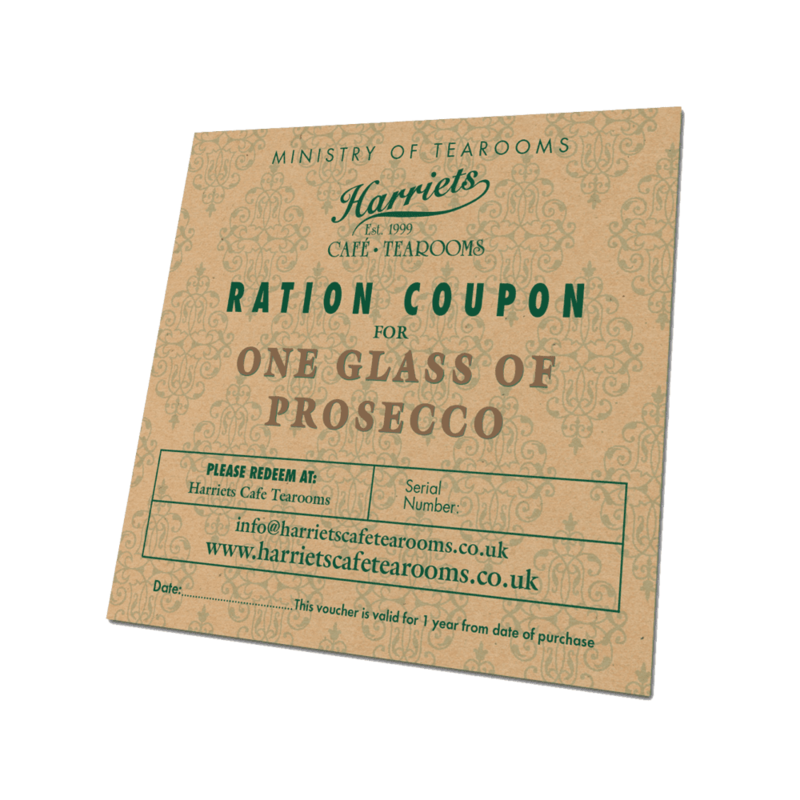 Please note that Harriets cannot guarantee to replace any vouchers or goods to the value of any voucher that has been either lost or destroyed once purchased.